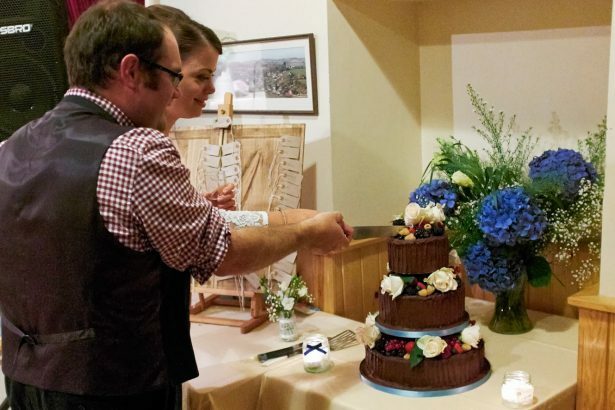 “Food was one of the most important elements at our wedding. My grandfather was a chef, and my mother a cook, so especially my side of the family are very particular about food. Myself and the groom also very much enjoy our food. We wanted simple good food, and chose to have it served as a buffet so people could pick and chose to their taste. We met with Gemma and Matt before the wedding, and they really listened to what we wanted, and came up with some absolutely delicious ideas. They are a lovely couple, really warm, friendly, genuine and with incredible expertise between them. 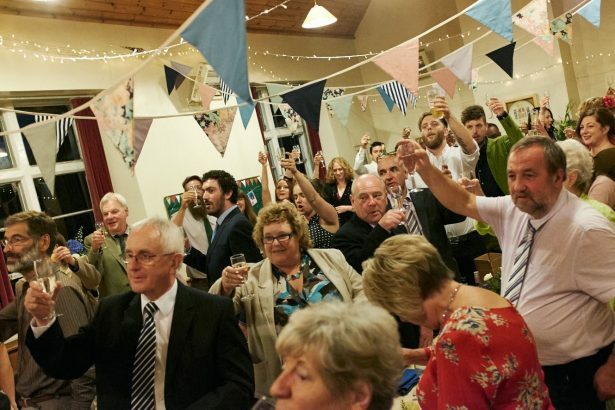 We were doing a DIY wedding, in a village hall that was not equipped for weddings, and they were also invaluable in giving us advice in how best to set things up. 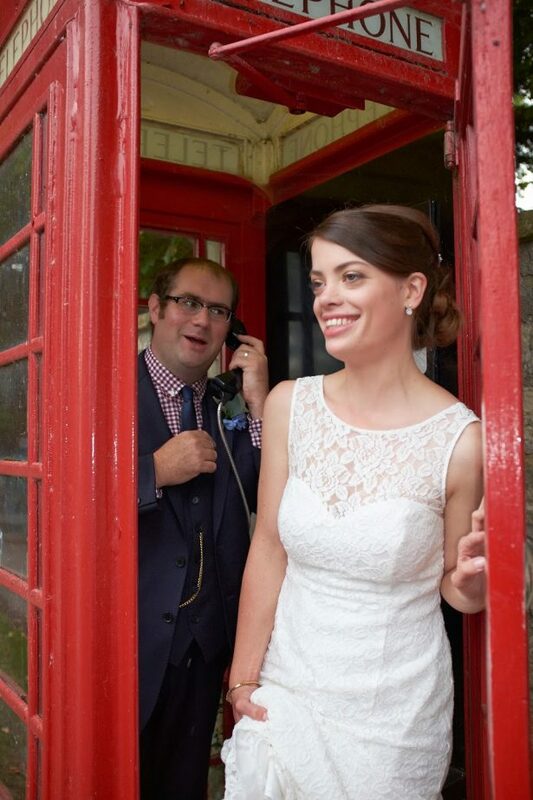 Hannah and Phill’s guests arrived in a beautifully restored West Country bus and there was a real vintage feel to this wedding. 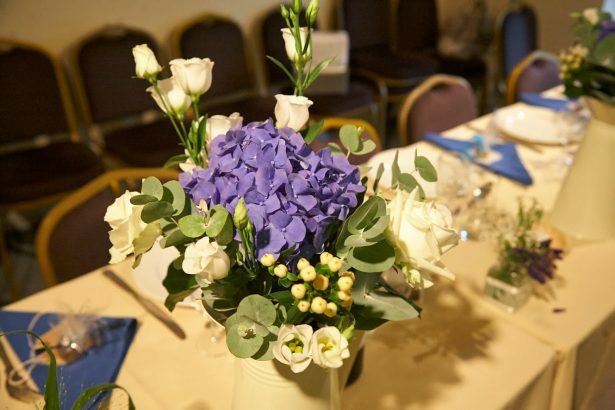 The reception took place in a cosy village hall near Bath and the venue was beautifully decorated with fresh flowers and bunting by the bride and her family. Relaxed and intimate, these West Country natives wanted a really rustic meal and opted for a picnic-style buffet with lots of locally sourced meats and cheeses to provide a hearty feed for everyone. After great speeches, gorgeous acoustic music and a bit of dancing, guests moved next door to the local pub and saw out the evening with roaring log fires and plenty more dancing. 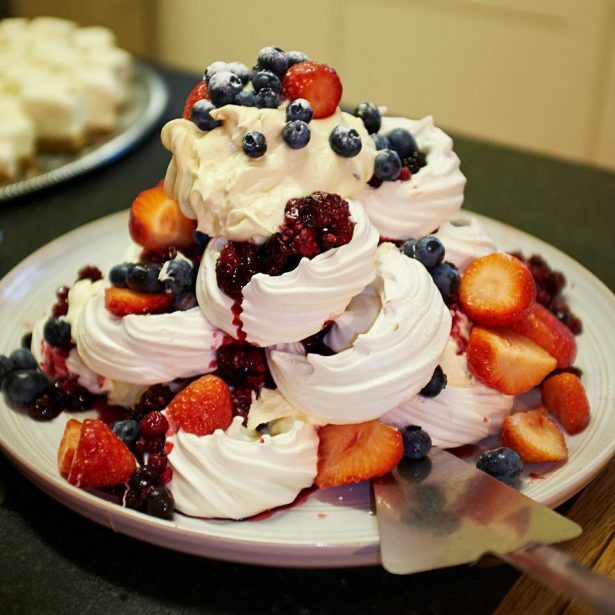 Planning your own wedding and looking for an independent caterer? Browse our wedding brochure for ideas and get in touch to reserve your date and start planning your dream menu! Check out our sample menus, request an information pack or even better, get in touch to chat about how we can help.